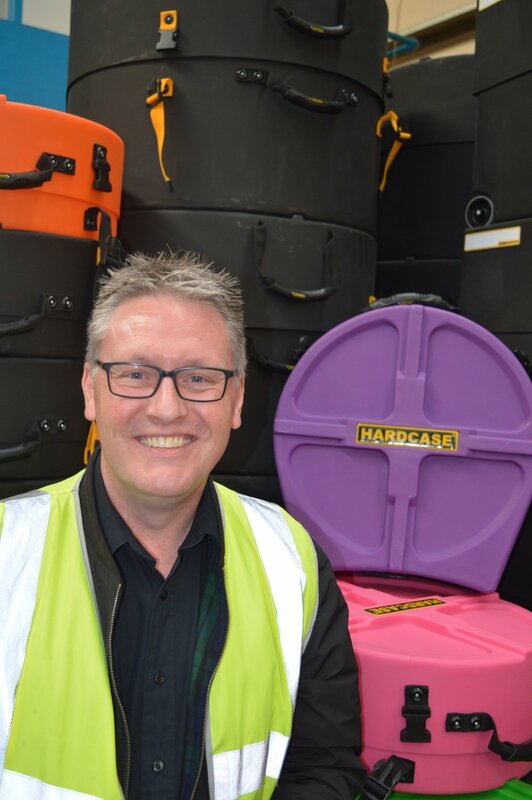 Established in 1992, Hardcase International Limited is one of the world’s leading manufacturers of rigid plastic drum and percussion cases. 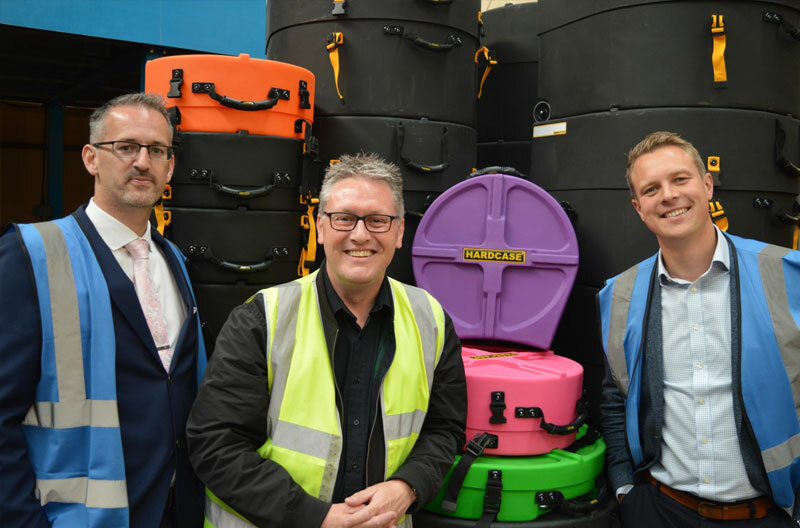 Based on Sheepbridge Industrial Estate in Chesterfield, it was one of the first companies to introduce rotational moulded, rigid plastic drum cases into the music industry and has since grown to become a global leader. Go behind the scenes at any concert or festival and chances are that you’ll see a wall of Hardcase drum cases. The company has worked with some huge characters in the music industry including Nicko McBrain the drummer with heavy metal band Iron Maiden and Carl Palmer from Emmerson Lake and Palmer. The company currently employs 15 people and manufactures around 30,000 drum case products a year at its Sheepbridge facility. In 2017, the former owner decided it was time to hand over the reins of the business to its Sales manager Dave Eyre. 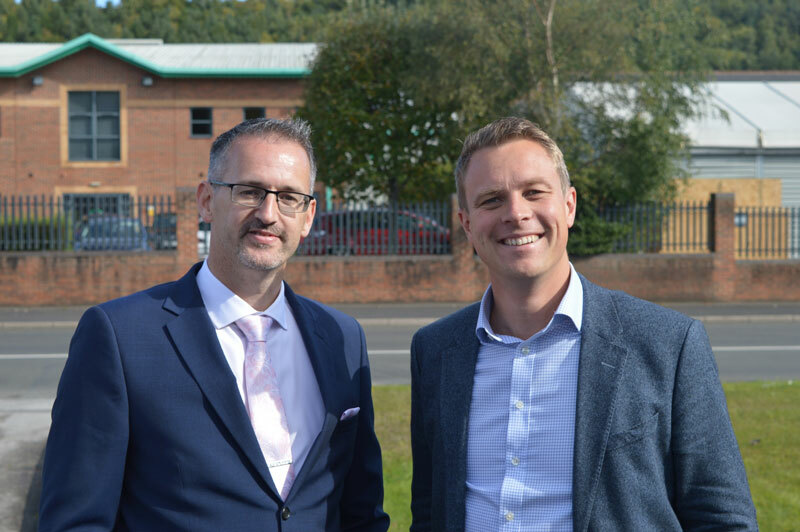 Mitchells was brought on board by Dave Eyre to support him in the management buy-out (MBO) of the business in a friendly acquisition. Here, Dave tells us how the MBO process was for him, the highs and lows and what the future looks like for both him and the business. How did you begin working at Hardcase? Drumming is my passion. I was a marching and kit drummer and still remain a kit player. However, this was a hobby which I managed alongside a day job. When I heard about a temporary sales role covering maternity leave at Hardcase and knowing the brand, I knew it was too good an opportunity to miss. However, that didn’t work out but I was fortunate enough to get a second chance when the sales position became vacant for a second time on a permanent basis. 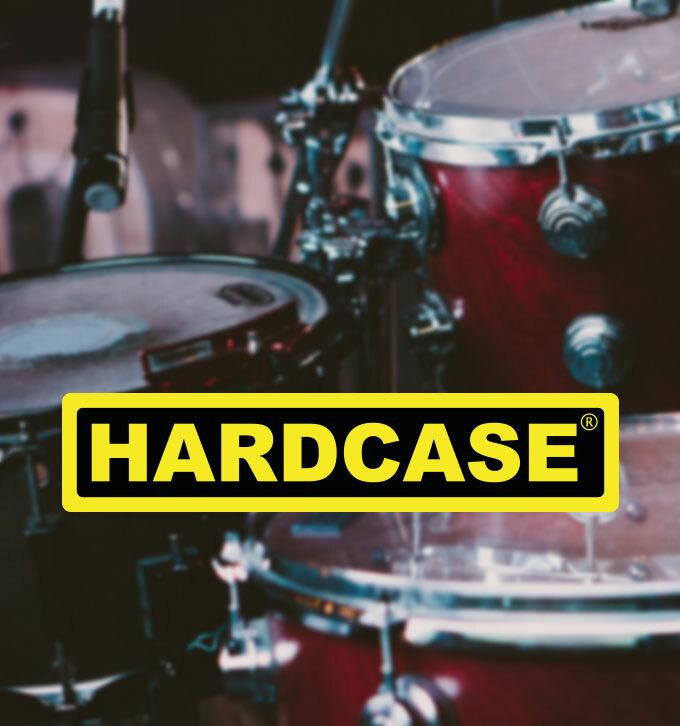 I started working at Hardcase as the company’s Sales Representative in 2003 progressing to Sales Manager within a couple of years. Why did you decide to buy Hardcase? I love this business. How many people can say that their hobby and passion is their work? The company has a small, tightly knit team, three of whom are family members. A driving force for me when purchasing Hardcase was to secure the future of the company for all the staff. There’s huge team spirit here which has made it a pleasure to come to work every day for the last 14 years. When the owner announced he wanted to retire, it wasn’t an option for me not to buy the business. Had the MBO not been successful however, I would have had to walk away. I have invested too much personally into the business and to see it in someone else’s hands would have been too much to deal with. How straightforward was the management buyout? There was a lot of stop starting throughout the process at the beginning, but once I got the right team around me, things picked up pretty quickly. Having never purchased a company before I was completely reliant on the expertise and knowledge of Mitchells. The most difficult part was agreeing a price and securing the T&Cs with the former owner, but once that was done the process was straightforward. Tim Leeman and Andrew McDaid from Mitchells brought in BRM Solicitors and Optimum Corporate Solutions who all collaborated with each other to support me with the fine details of an MBO, which I am sure saved time and made the process far easier and straightforward. I owe all those involved a debt of thanks. I couldn’t have done it without them. With support from private investment, BRM Solicitors sorted all the legal aspects of the transaction, while Andy Stone from Optimum Corporate Solutions arranged further finance to secure the deal. We were also all keen that it should be a friendly acquisition, so that made things a lot easier for us and saved a lot of time. What advice would you give to other people about to go through a management buyout? What are your future plans for Hardcase? In the short term Hardcase will continue as it is. We’re doing brilliantly at the moment. We have already started making serious headway in America having returned to the US market in 2016 after several years away. However, there is still room for us to grow, locally and globally. We plan to move to larger premises at some point in the near future, allowing us to add to our team and grow the company. We couldn’t ever move from Chesterfield though as it is a big part of our success. The location suits us perfectly for both distribution and passing musicians who drop in to see us if they’re playing a concert in nearby Manchester, Derby, Birmingham, Nottingham and Sheffield. In the past, we’ve had Carl Palmer from Emerson, Lake & Palmer and Nicko McBrain from Iron Maiden pop into the factory during their tours. How many people can say that? Do you think Brexit will have an effect on Hardcase? I think end users across the world appreciate the quality of Hardcase products and our commitment to the brand, so I honestly don’t feel Brexit will be an issue for us. However, we cannot afford to sit on our laurels so must maintain the high levels of quality and after sales support with which we pride ourselves and have put Hardcase where it is today.